Without optimum pre-treatment of steel, advanced and economical (subsequent) steel processing would be unthinkable. Contaminants such as rust, scale or slag must be removed and, where appropriate, protective or colour coating must be applied before it can be processed further. In the steel-processing industry, careful pre-treatment provides the basis for reduced throughput times and smooth production, thereby generating economic benefits. So it’s a good thing there are companies that specialize in professional blasting and preservation – one of which is located outside Basel: BIRS-STAHL AG. 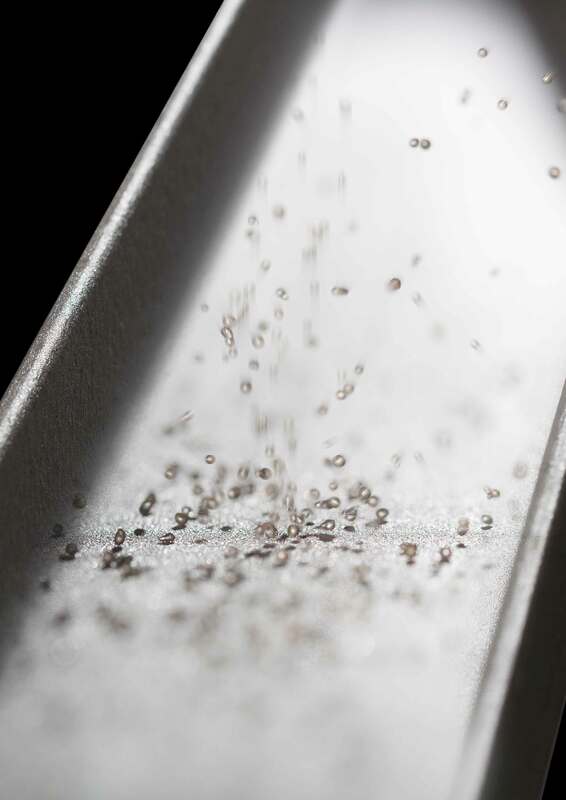 Many Swiss customers in the steel industry have come to rely on this small, high-tech company. With a core team of just four employees, BIRS-STAHL is able to prepare thousands of tons of steel and metal sheets annually for subsequent processing. What began in 1969 as a regional operation has since become a partner to the Swiss steel-processing industry. The company, located in Birsfelden, has always made sure to have the technical capacities it needs to fully satisfy the demands of its customers and in the final analysis, it is speed and economy that count most in today's production. Increasingly, production orders have to be turned around quickly. Delivery in the morning and pick up in the afternoon is commonplace – and for the professionals at BIRS-STAHL AG, it doesn’t pose an insurmountable problem. The tension arising from an increasingly diverse range of customer demands has prompted the company to appreciate the need to modernize its equipment. Processing profiles in lengths of up to 24 metres and sheets with a width of up to 2,500 millimeters require systems that are both technically sophisticated and reliable over the long-term. It is also important that all production steps work hand in hand. Up to now the company had been working with two separate blasting units and one preservation system. In the future, there will be just one production line, which will not only be more efficient and more user-friendly, but also more cost-effective to operate and because a small company cannot afford production downtimes, the new system needed to be installed within three monthswithout interrupting production. The parameters in searching for a suitable supplier were obvious: It needed to offer the latest technology at a reasonable price. As it turned out, Kaltenbach, the international manufacturer of metalworking equipment from Lörrach, with its recognized technical solutions for steel and sheet metal work, was just around the corner. The solution the experts at Kaltenbach provided Birs-Stahl was also clear-cut: a Marathon A 2506 blasting unit working in connection with a KCP 2504 preservation system would give the company what it needed to meet its requirements going forward and to make sure they were also prepared for the unexpected, the company also concluded a maintenance and replacement-parts contract for the next five years. With its ability to significantly reduce order-processing times and greater utility, the Kaltenbach Model A 2506 is the right blasting tool for heavy-duty continuous operation. 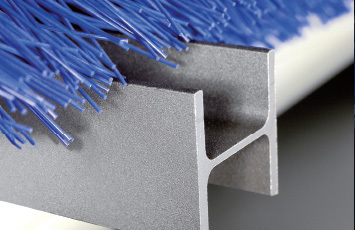 As outlined in the briefing product profile, the system consists of 6 high-performance turbines of up to 22 kW that cleans, de-rusts, descales and purifies metal sheets, profiles and flame-cut blanks, chiefly in compliance with BSA standard = 2.5 for S235JR NEN-EN quality materials – in a work space measuring 2,500 x 600 mm. A closer look shows a number of other advantages. Its economical use of blasting agent, for example, is one crucial economic benefit of the Kaltenbach Marathon. By almost completely recovering blasting material, it helps preserve the environment and save on raw materials. Moreover, it’s designed to operate at peak efficiency when in continuous use owing to its very precise dosing of blasting material. By having the turbines mounted laterally to the direction of throughput, it is able to produce excellent blasting results – even at the highest throughput speeds. The turbines, which are driven by a coupling to an electric motor, ensure stable continuous operation. A glimpse at the design reveals the technical innovation involved. For instance, the outer shell is made of structural steel, which, together with the bolted manganese liners, makes the entire assembly exceptionally robust. It’s an intelligent concept meant to prevent wear and tear. In practice, this means that the manganese inner lining can be replaced quickly and easily after it wears out. 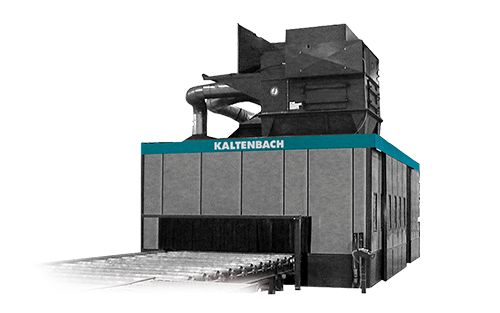 Another characteristic of Kaltenbach design is that the primary components are easily accessible for regular inspection and maintenance. This serves to lower operating costs and enhance the service life of the filter cartridges in the fully automated extraction system, as well as to reduce the consumption of blasting agent. BIRS-STAHL AG designed the foundation for the unit in such a way that the machine can also be accessed easily from underneath – which facilitates servicing. The KCP 2504 painting system handles the next step in the preservation process. The parts undergoing processing are transported rapidly from the blasting unit into the painting and preservation system. From this point a chain conveyor system serves as transport, making it possible to provide an all-round finish in a single operation, since the materials have only minimal contact with the machine. 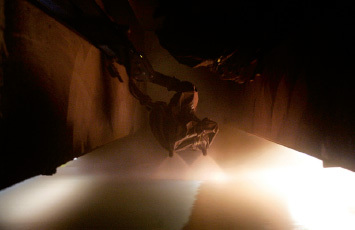 Paint consumption is reduced through customized positioning of each of the four individually adjustable paint nozzles and automatic synchronization of the spray gasket to feed-through speed and in respect of energy consumption in the drying process, by connecting the after-dryer to the preheating kiln through a pipe system, air that’s already been heated can be used more efficiently. This is good for both profitability and for the environment. To increase production efficiency even further, BIRS-STAHL AG made use of one of Kaltenbach’s intelligent extras by incorporating an additional painting system with an additional pump. This allows them to quickly and reliably execute complex jobs using a wide range of different paints or varnish applications. Employees also appreciate the frost protection feature that protects both the equipment itself as well as the paint from the effects of cold. An instantaneous water heater is activated when the ambient temperature falls below 8°C to prevent the cold from interrupting production. Those who generally keep their equipment in continuous operation during daily production operations, as is the case at the facility in Birsfelden, will want to take a look at another useful Kaltenbach development for use in painting and finishing processes: so-called space containers. A sturdy welded frame provides enough space for eight 200-litre drums of paint or fluids, ensuring constant access to the contents. The design also complies with tough safety standards. It is flame retardant, an electric heater protects against the effects of cold and a grated bottom with a collection capacity of up to 1,000 litres prevents leakage. Owing to the design of the system, the process as a whole has produced improvements in both speed and efficiency. Increased automation has reduced materials consumption and lowered costs. 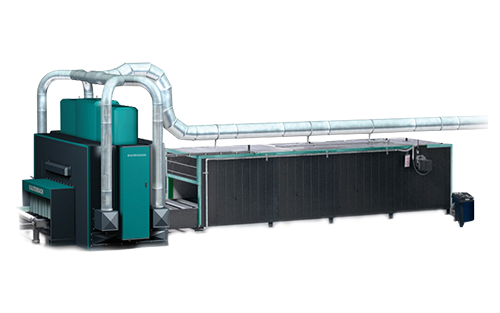 The system has already demonstrated that it is reliable in continuous operation: it completed the first 700 hours of operation without a need to replace any parts. And the company’s stipulation that normal production continue during set up was thoroughly satisfied: production was not interrupted once during the three months the system was being installed and put into operation. For Managing Director Klaus Rohe, the upgrade was a total success: “As a fairly small company we can’t afford production stoppages. Everything worked out very well in that regard during the joint project.